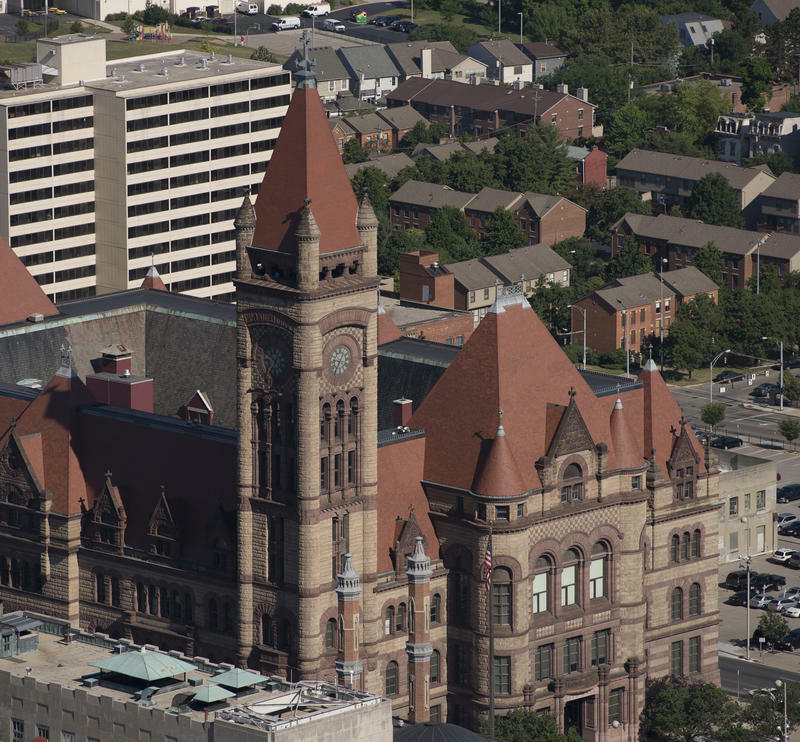 A $55,000 payment from the City of Cincinnati to a Metropolitan Sewer District subcontractor last year is causing turmoil at City Hall. At issue is whether the city administration threatened the Bricker & Eckler law firm with losing its city contracts if it didn't cut the check immediately. Read more - Council: Why Did City Administration Pressure Law Firm To Pay Sam Malone? After a special hearing Wednesday afternoon at which she wasn't allowed to speak, former assistant city solicitor and current MSD Director of Government Affairs Gina Marsh offered her side of the story to reporters after the hearing. "My supervisor, Luke Blocher, told me that he had spoken with the city manager and that the city manager said that the payment needed to made within 48 hours or the Bricker contract would be terminated." The City Manager denies any such threat. Harry Black says he does everything with a sense of urgency. "'Make it happen.' 'Get it done.' 'Let's close this out and move onto the next thing.' That's how I talk, all day, every day. How somebody might internalize that or interpret that, I can't control that." The Mayor calls the MSD procurement arrangement that led to the check issue a "bad arrangement." The process has since been changed. 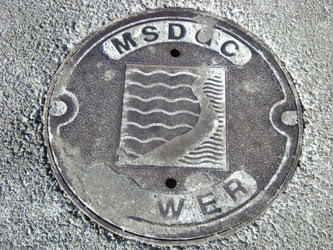 The issue came to light in an MSD audit released several weeks ago. Marsh also told reporters she relayed to her contact at the law firm, Mark Evans, that someone from the city would be calling to direct the payment be made. Evans says that call came from John Juech, now an assistant city manager. When asked about the phone call during Wednesday's meeting, Juech said he does not recall making any such call. When City Manager Harry Black took over in 2014, among other things, he began changing the way the sewer district arranged contracts with vender and contractors. The previous MSD Director, Tony Parrott had been given authority by the previous administration to make all procurement arrangements himself. After Black got rid of that ability, however, there was at least one outstanding invoice for payment to a consulting firm called Urban Strategies and Solutions Group LLC. Urban Strategies is owned by Sam Malone, a Republican council member from 2003 to 2005. Under his contract, he was paid through the law firm of Bricker & Eckler. That relationship has since been terminated. There are also questions about what work Malone actually did for MSD. After investigating the outstanding invoice for $55,000, Black says he determined former MSD Director Parrott has approved the payment. Therefore, he (Black) ordered it be paid. Over a two year period, Malone was paid about $331,000 as a subcontractor. Black's order that the $55,000 be paid was going on as City Council was debating the 2016 budget. During the special hearing on the MSD payment, Gina Marsh's name repeatedly came up in connection with determining if the city had indeed threatened Bricker & Eckler, as a partner with the group has suggested. Council Members Chris Seelbach, Yvette Simpson, and Wendell Young, who called the special meeting, say they're worried about Marsh's job with MSD. "I admire the courage she has shown today," says Young, "and I am really concerned for her employment. I am really concerned about that." Marsh read a prepared statement to reporters after the meeting and answered two brief questions. Mayor John Cranley tried to interrupt the questioning telling Marsh she didn't have to answer, but Marsh agreed to clarify her comments before ending the interview. The city manager told reporters afterward that Marsh's job would not be in jeopardy. "We encouraged employees to come forward and to share any knowledge that they might have. So, what she has done, and is doing, is consistent with that." Council: Why Did City Administration Pressure Law Firm To Pay Sam Malone? Update 6/26/2016 4:21 p.m.: Council members Chris Seelbach, Yvette Simpson, and Wendell Young will hold a special council meeting on the sewer district issue Tuesday at 4 p.m.. Original Post 2:33 p.m.: Some very upset members of Cincinnati City Council are demanding answers to a question that arose from an audit of the Metropolitan Sewer District (MSD) – the question of who in City Hall threatened MSD's law firm with termination unless it paid a former city council member $55,000 for consulting work. A newly released audit suggests Cincinnati officials need to further investigate some of the past practices of the former management of the Metropolitan Sewer District. The audit reports 34 recommendations for changes. An online Enquirer report Thursday questioned whether the ongoing audit of the Metropolitan Sewer District is truly independent. It questions if the city manager and city solicitor are playing too big a role in the review.